Mayo Clinic congenital cardiologist, Alexander Egbe, M.B.B.S., discusses the role of anticoagulation in Fontan patients. Thromboembolism, or blood clots, can affect all systems in the body causing stroke, pulmonary embolism, and heart attacks. 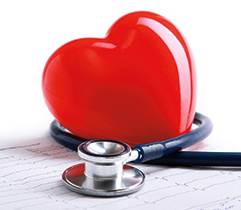 In Fontan patients, blood clots are typically found in the heart, Fontan connection, or in the calf, also known as deep vein thrombosis or DVT. Fontan patients are at a higher risk for blood clots due to sluggish blood flow, arrhythmias, hereditary clotting disorders, or cirrhosis. 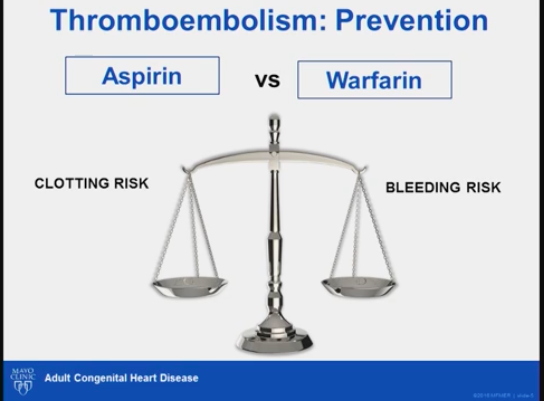 Decisions on medical therapy with warfarin or aspirin should be determined on a case-by-case basis.